The Libraries are not the same. They sound different. The legato of the Vienna Choir is shorter which is very good for faster tempos and for general situations. 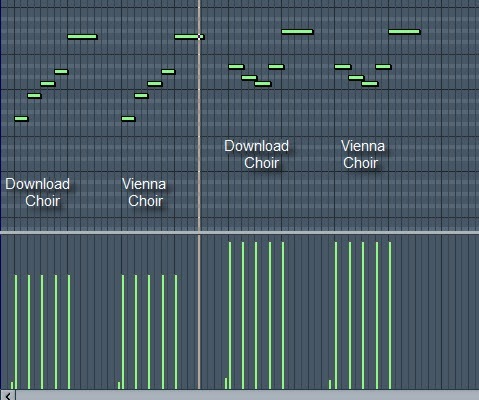 The 4 Layers of the Vienna Choir make the use of the "X-Fade" possible. You are able to create dim- and crescendos without any bad crossing noises when it comes to change the layer. 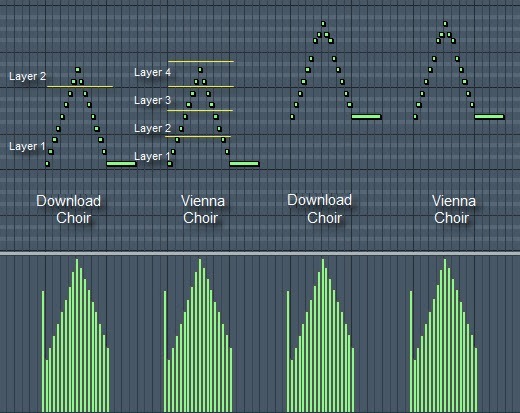 The 4 Layers of the Vienna Choir offers a wide and natural dynamic range. The two layers of the Download Choir sound similar and the dynamic range is not that wide. 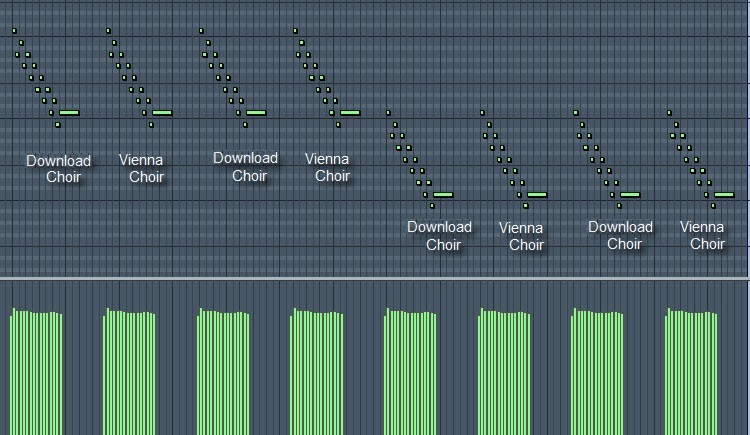 The Download Choir comes with with two layers but not the crossing sound (legato) - as far as I know. For these crossing sounds we get only one Layer. This matter produces somtimes a bit unnatural legatos (crossings between 2 notes) with quiet parts. This was a criticized point in the past. Each of the to Libraries has its advantages. It doesn't make sense to play one library against the other in my eyes. But in any case: The new Vienna Choir with the Male Voice Section speaks for itself! Sequence: "Download Sopranos <> "Vienna Sopranos" // "Download Sopr. <> "Vienna Sopr."